Nestled: to settle or lie comfortably within. April and Bayleigh are real life neighbors and friends who are striving together to love their community well. 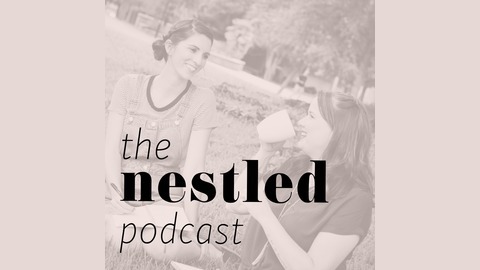 The goal of the Nestled Podcast is to encourage other women to love their home, love their neighbors, and ultimately love and serve the Lord. 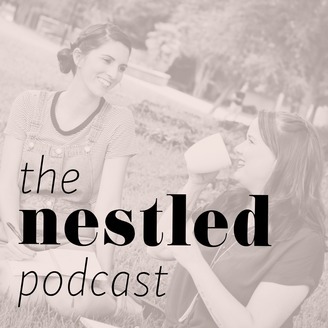 Each week you’ll hear from guests from a variety of backgrounds who are using their unique giftings to serve others well. To live out daily hospitality takes vulnerability. There will be laughter, tears, and sometimes both at once. April and Bayleigh are willing to give you a peek into their nests so that you know you aren’t alone. Please come back- the door will be open. This week we wrap up the last topic sent in from our listeners regarding comparison. We focus in for a few minutes on comparison and the home. We discussed how to be content where you are with what you have, and how we can love people around us in every season. We also remembered some of the homes that had the greatest impact on us as kids, and what made them unique.